Cathy Gabrielsen is a certified Elementary Education teacher and Founder of Cuddle My Kids, Inc., a 501c3 non-profit organization. 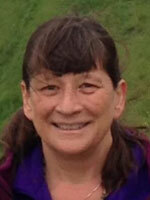 Cathy is certified in LifeForce Energy Medicine and LifeForce Coaching. She is a Master-in-Training Grad under Deborah King. Cathy is a breast cancer survivor and used the LifeForce Energy Medicine healing techniques to heal her own illnesses such as Hashimoto’s, Anxiety, Depression and PTSD. 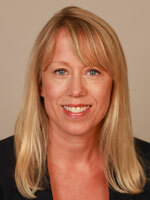 She is married to Scott Gabrielsen and has two teenage sons. The Gabrielsen Healing Center is located in West Chester, PA and provides LifeForce Coaching and LifeForce Energy Healing®. Visit www.gabrielsenhealingcenter.com for more information. Patty Barron has been operating a small business for over 25 years, recently partnering with an inventor on a new product launch, intending to bring change to Lighting. 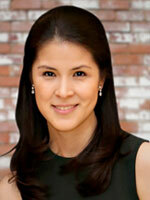 She has an MBA in International Business and has enjoyed a successful career in the lighting Industry. Patty’s interest in Energy Healing began after the passing of her mother in 2010. At that time, she was on a search to find Heaven and along the way she found Deborah King which sparked her personal journey into self-healing. Patty has been studying with Deborah since 2012, completing all levels in the LifeForce Energy Healing Program and is currently a Level V Graduate Student. 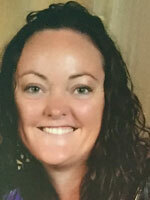 Patty is located in Atlanta, Georgia, has 2 children in college, as well as 4 older step children with children of their own. She promotes the importance of the power of our words, setting intentions, eliminating limited beliefs, working on self-love, self-worth and forgiveness. Patty believes that Meditation is the secret to life, can help us get in touch with ourselves, including finding our life purpose and that each illness has an associated emotional component. Releasing blocked or unprocessed emotions and balancing, clearing and charging our Chakras will all greatly help with our health challenges. My practice is based on the knowing that we are aspects of pure consciousness having a human experience which provides us the opportunity to explore and evolve. I support individuals in their discovery and development process through workshops, group sessions, individual consultations, webinars, coaching and mentoring. This includes work in life balance at the physical level, opening and clearing of the energy field along with exploration beyond the physical reality. 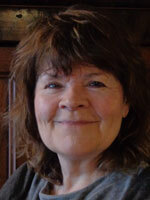 Margaret is a LifeForce Energy Healing® Practitioner who began her training with Deborah King in 2010. As a child she always had a deep curiosity about the body and how it worked but even at an early age suspected that there was a great deal of information missing in her health and wellness education. This information was found during the course of studying energy medicine. Margaret practiced massage therapy for 3 years as a licensed masseuse and had a 15 year career as a registered nurse in both hospital and community nursing giving her a solid background in western medicine. During this time she continued to study alternative medical practices and both formally and informally and acquired a great deal of knowledge on the effect diet, exercises, emotions and spiritual practices had on the body’s ability to heal. Twenty two years into a delightful and fulfilling marriage Margaret’s beloved husband was diagnosed with vascular dementia. She made a promise to him from the beginning to keep him at home until his death and began to care for him with very little outside help. In the midst of caring for him her only child died suddenly and left her reeling and unable to speak of him for a year. 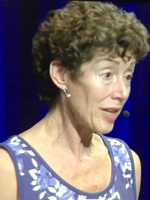 But she attributes the ancient practice of meditation and energy medicine techniques learned while studying with Deborah King in helping her to overcome both the death of her son and the long illness and death of her husband. Margaret believes the marriage of western medicine and energy medicine along with diet, exercise, solid spiritual practices and many forms of what today are considered alternative medical practices will go a long way to improving the health of all people and of the planet. Nattasha’s life had a rough start – when she was 5, her parents were sent away to Siberia on a temporary job assignment that ended up lasting 10 years. As a result of losing her primary caretakers, Nattasha had to learn to live in whatever conditions were made available by the relatives and to take care of herself to the best of her ability. The basic need to survive and Nattasha’s own neutrality to any circumstance, whether it is indifference, open dislike, or abuse have shaped her attitude towards life and others. She learned to do whatever needed to be done in order to accomplish a goal. She also learned that as long as her life looked perfect on the outside, she was safe. When an opportunity to study abroad became available in college, it was her survival skills that made it possible for her to move to the US on her own and to become a finance professional. While all looked well on the surface, Nattasha’s unaddressed pain of losing her beloved parents and her unacknowledged history of childhood abuse started manifesting as physical symptoms in her 20’s. Adrenal exhaustion, thyroid dysfunction, and dangerous hormonal imbalances screamed for attention. Having thoroughly studied the Chinese and Western alternative medicine, Nattasha was able to rebalance her physical body and enjoy great health. Unfortunately, the life trauma remained unresolved and Nattasha was eventually faced with severe depression. While talk therapy provided relief, the longing and restlessness persisted. Guided to a kids’ yoga teacher training, Nattasha started on a quest of honest self-examination. When she learned of energy healing, she knew she had found a beautiful treasure. Being part of Deborah King’s one-in-a-million, brilliant energy healing program and being lovingly supported by her soul family has completely transformed Nattasha’s life. Nattasha is an interfaith minister, certified in energy healing, holistic health counseling and children’s and family yoga. She is available for in-person sessions and workshops in Tulsa, OK, and on Skype. You can contact her at nattasha.bogdanova@gmail.com. In 2007 I was diagnosed with a potentially debilitating disease known as MS. After going the traditional route of doctors and medications, I began to realize the medications that were promised to prolong my life were actually doing the complete opposite. The symptoms that drove me to seek medical help became more intense and the medications to stave them off caused side affects that further weakened my health. By 2011 I was very angry, nobody seemed to know how to make me better. However, it was that very realization that inspired me to delve into the healing arts and learn how to heal, not only myself but also, others. I hold a bachelor’s degree in Communication Disorders and a master’s degree in Elementary Education. After resigning from a 12-year position as a fifth-grade teacher in the public schools, I became certified as a LifeForce Coach, LifeForce Healing Energy® Practitioner & Hatha Yoga instructor. 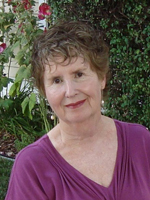 Barbara Clark is a LifeForce Energy Healing® Practitioner, LifeForce Coach, Inspired Teacher, and Children’s Meditation Coach. A nature lover, dreamer, and free spirit at heart, Barbara’s early life was full of exploration, discovery, and imaginative play. Looking outside herself for acceptance and love during her teenage years and early adult life led to depression and dissatisfaction with her life. As Barbara was struggling to find balance, her inquisitive nature led her to experience an energy healing session that changed the course of her life, reigniting an excitement for learning, a renewed outlook, and a connection to the Divine. 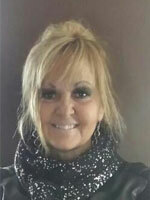 Following a thirty year career as a special education teacher, Barbara transitioned into the world of energy healing. Her lifelong curiosity, combined with natural intuitive abilities, led Barbara to pursue a spiritual path, studying with teachers of energy healing, coaching, and children’s meditation. As a LifeForce Energy Healing® Practitioner and Coach, certified by the Deborah King Center, Barbara assists clients in exploring the hidden depths of their soul in a safe, caring environment. She encourages her clients to reach deep within them to discover opportunities for personal growth and healing. Inspired by the many children she has taught over the years, Barbara created a children’s meditation program incorporating her experience as a teacher, as well as her knowledge of energy healing and spirituality to guide and support children on a path of discovery, creativity, and joy. Barbara’s fresh, innovative approach blends well with her creative spirit and dreamer personality to afford her clients new ways to open to guidance, personal growth, and healing at a profound level. It is her desire to support each of her clients on their journey into the realms of self discovery, healing, and living a joy filled life. To contact Barbara, please email her at barbaraclark012@gmail.com. 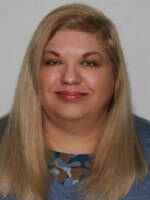 Kathy is a Master Graduate of LifeForce Energy Healing® at the Deborah King Center and a Naturopath. Her early lifestyle of raising 4 children, 4 dogs and a menagerie of other animals left little time to develop personal spirituality. However, instances of clairsentience and energetic ancestral connections were comforting, and inspiring. In 2005, a series of health crises: a misdiagnosis of kidney cancer resulting in the unnecessary removal of a kidney followed by Lyme Disease where medical treatment resulted in drug induced hepatitis led her to alternative healthcare. Her own intuitive skills had self-diagnosed the Lyme. One medical practitioner advised her stating, ‘I’ve never said this before. I think you need to stay away from us doctors. We’ve done you no favors.” As a Naturopath she works with a variety of modalities, including: Bach Flowers, Essential Oils, and Energy work including Geotran. A Deborah King workshop in 2016 led her deeper into Energy Healing, where she now studies as a Master Graduate of LifeForce Energy Healing®. She does both in person and distance sessions and can be reached at clifford@swcp.com. 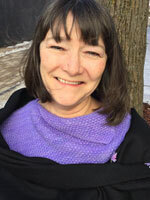 Mary Kay Daniels, MA Theology, University of Notre Dame, Notre Dame, IN, now practices in Sioux City, IA, as both Certified Master LifeForce Healing Energy Practitioner and Certified Yin Yoga Instructor. 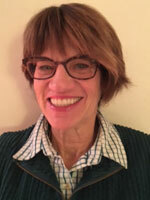 As a Master Lifeforce Healing Energy Practitioner having completed Lifeforce Graduate Level V at The Deborah King Center in 2018, Mary Kay employs multiple proven modalities to promote wellness which complement modern medicine, often maximizing outcomes holistically as well as biologically, frequently initiating independent healing processes. As a Certified Yin Yoga Instructor, Mary Kay specializes in teaching yin yoga which brings stillness, replenishment and healing to connective tissues and joints, enhancing health and well-being, and vinyassa/yinyassa empowering mind-body-spirit integration, to students of all levels. She completed her 200-hour yoga certification from Evolve Yoga in Sioux City in 2017 and has practiced yoga and movement arts since high school. 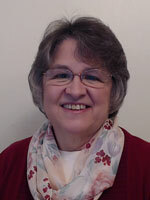 Mary Kay also serves as a Level I Reiki Practitioner; a Hospital Chaplain; Educator; Writer; Spiritual Director; Wife and Mother of 5 children now all wonderful adults and grandmother of 8. She loves traveling, exploring, outdoors, fishing, reading, cooking, writing, having friends over, public speaking and especially being with her family. Contact Mary Kay by emailing her at marykaydaniels@gmail.com or calling 712/251-0442. Ardele grew up in rural western Canada, attended the universities of Alberta, Calgary, and Saskatchewan, and graduated with undergraduate degrees in Physical Education and Education and a Master’s degree in Counselling. 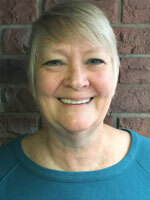 She has worked with children, youth, and families for over 30 years as a counsellor and Student Services consultant. During this time in addition to providing direct counselling, she has contributed to the development of programs, services and supports for children, families, and community organizations. She continues to be concerned for availability of supports to those living in rural areas. Ardele has experienced firsthand living with chronic illness. She believes and lives the reality that healthy living is a balance of body, mind and spirit and that rebalancing is an active ongoing process. Her approach in working with others is that life challenges can move us to greater strength, self-understanding, and engagement with others. She is intuitive in her understanding of others and continues to develop her foundation in understanding the dynamics of healing, wellness and effective interventions. 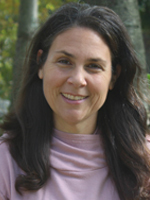 She has studied Somatic Experiencing (Peter Levine) to understand how the body deals with trauma and most recently has studied LifeForce Energy Healing® with Deborah King for the past four years. She is currently a Level VII student developing knowledge and skills in facilitating personal energy flow and balance. Ardele has also completed the LifeForce Coaching Program which involves life coaching – achieving balance and focus in everyday life. 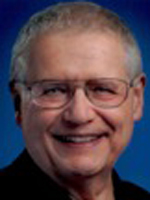 Recently retired after 29 years as a school counsellor in the Saskatchewan area of western Canada, Ardele continues to reside there. Her interests include travelling, the outdoors, her dogs, gardening, sports, reading and researching diverse topics! She is in the process of establishing a private practice with particular interest in online availability. 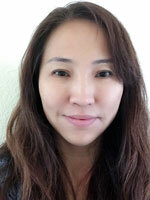 Aline started working with people when she established a practice for beauty and massage therapy. 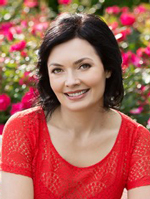 She studied natural medicine modalities and graduated as a holistic psychotherapist. In her personal life she was deeply affected by the outcome of her not bearing children. No medical procedure or natural therapy could change anything, and she just was not able to understand her life at all. She lived through divorce, separation and loss, then finally took refuge in the countryside. It felt like an ultimate choice to find roots and balance. She started to grow her own food. With the help of her wonderful dog she overcame her inner solitude. She even found a happy love life again. Gradually she connected to further studies through the internet and found Deborah King as her teacher. This has been an amazing journey as she continued to heal her life on a deep level. And she discovered that energy healing is the fulfilment of her desire to feel the light and the music of life, and thereby to be of help and service. 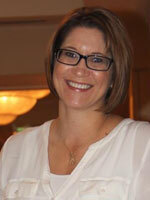 Cathy awoke from an abdominal surgery in 2000 with a horrible headache that would not go away. For years she saw specialists, took hundreds of prescription pain medications and tried most conventional medical treatments and tests available. Finally, with no other available options, she stopped all treatments and suffered the agony of withdrawal. Cathy was studying self-awareness and healing practices to help herself when in 2011 she became a student of Deborah King and learned mantra-based meditation, which she says saved her life. Meditation became her new medication. It was with this practice her constant thoughts of hopelessness and suicide as an answer to pain disappeared. What she thought was the worst thing, endless pain, ended up being the best thing that ever happened to her. She found her true self, her spiritual self, and how she could serve others on this journey. Meditation changed the way she experienced pain and the intense suffering from pain disappeared. She knows first hand what it’s like to suffer great pain and great loss, so now, as a LifeForce Energy Healing graduate and coach under Deborah King, she helps people find their true self and path in life by releasing limiting thoughts and beliefs within themselves that keep them stuck and suffering, in whatever form of pain they find themselves in, with inquiry, self-awareness and energetic practices. She is also an advocate of Mantra based meditation. 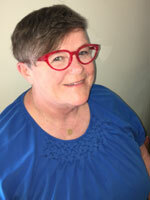 Currently Cathy is continuing her studies, and is writing a book about an inside look into chronic pain. Shirley is a certified family nurse practitioner and owner of Hilzinger Healing, an independent practice focusing on energy healing, wellness coaching, and herbal/nutritional support. After working in occupational health and convenient care for many years, she moved into natural healthcare. This allows her to promote the health of her clients from a whole person perspective. Shirley has a unique perspective on health and healing, resulting from exploring many types of healing for herself and her family. As a result of this exploration, she was led to energy healing and, in particular, LifeForce Energy Healing® with Deborah King. Shirley’s ability to combine the best of Western medicine and lifestyle choices with energy healing enables her clients to discover their own path to a profound healing experience. 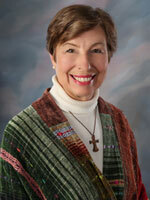 Her services are available in person, by phone (630-291-9688), or online at Hilzinger Healing. In addition, Shirley takes the message of whole person healing nationwide, speaking at professional conferences and seminars. Here, she is able to introduce energy healing to health care professionals as a viable and effective mode of healing based on research as well as clinical experience. When not immersed in her practice, she and her husband enjoy an active life hiking, skiing, visiting family, and traveling. Ruth vividly recalls the summer her life turned inside out and upside down…a time of crisis and challenge, the conscious beginning of her spiritual, healing journey. She was in her early thirties, married, with three children, when her husband was diagnosed with terminal cancer. He had several surgeries and died within a few months. She was suddenly the single parent of three young children, struggling financially as well as emotionally. The following summer, Ruth was introduced to meditation, a practice that has changed her life forever. Not only did meditation help her stay sane as a single mom, raising and college-educating her children, it deepened her connection with the Divine and supported her spiritual journey. There were more losses, parents and then her second husband, and always leading her through all this, has been meditation and prayer. 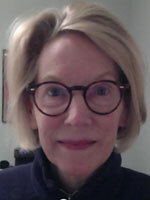 With degrees in Early Childhood Education and Psychology, Ruth is a retired teacher and pediatric psychotherapist. She now sees that, without giving it a name, she was using energy healing, mixed with love, in her work with young children. When Ruth attended her first workshop with Deborah King, she knew she had found a spiritual healer and teacher who could guide her even further, healing past traumas, becoming more intuitive, dealing with challenges that come every single day. And then there is the added blessing of being part of this wonderful, supportive group…the journey continues! 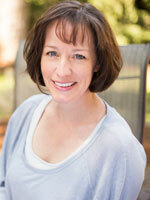 Jen Moser is an accomplished writer, speaker, and teacher residing in Austin, Texas. As an MBA/CPA, Jen spent over 17 years in senior management positions in Corporate America when she finally decided enough was enough! She started doing the things she enjoys most: being a present mom to her two boys, traveling the world with her husband, empowering women to step into their full potential, and helping everyone incorporate wellness into their lives. 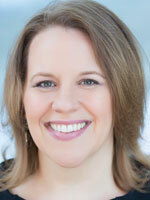 Jen provides LifeForce Coaching, LifeForce Energy Healing®, and financial coaching to her clients. For more information, contact her at jen@theprosperitysage.com, and visit her website, TheProsperitySage.com. Nancy was a highly anxious nearsighted child, then worked as a computer nerd for years. Trying to decipher her vivid dreams, she was forced to get out of her head and recognize the fundamental role of her emotions. 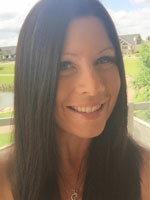 She now honors her feelings, using their wisdom for guidance, and has become a compassionate coach and energy teacher, with a knowledge of many healing tools. She trained as an Abundance Coach under Carol Look, and as a LifeForce Energy Healer® and coach under Deborah King. Nancy helps people improve their eyesight naturally, better understand themselves and others, and remove obstacles to having an abundant joyous life. 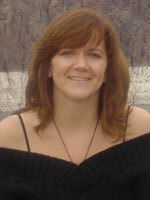 Paulette is an intuitive energy healer in the Big Sky state of Montana. She treasures her roots as a rebel, wild middle child and recognizes those roots as bringing her to this present moment, giving her knowledge about herself that she could not find elsewhere. Her personal journey of healing started with a book called “You Can Heal Your Life” by Louise Hay. This thought provoking little gem sparked a passion within that led her to the Deborah King Center where she enrolled in her first Lifeforce Energy Healing® course in 2015. Over the past three years, these studies have included Lifeforce Energy Healing®, Awakening the Divine Feminine, Mantra Meditation, Angels of Energy Healing, Astral Wisdom, Chakra Wisdom, Spirit Guide Coaching, Characterology and Level IV Master-in-Training certification. 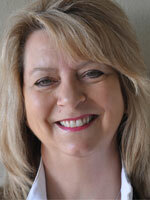 Currently, Paulette is studying in the Lifeforce Energy Healing® Level V Graduate program. 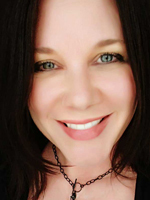 As a Lifeforce Energy Practitioner, certified by the Deborah King Center, Paulette uses a compassionate approach to help others reconnect with their soul’s voice and rediscover the joy and passion in their journey. For more information about Paulette, visit her website at www.Soulisis.com. Lynda Richards is a successful business owner, having operated her own company for the past 20 years. She is a certified LifeForce Energy Healing® practitioner with Deborah King, having taken courses and workshops with Deborah over the past eight years. Lynda spent many years looking for a way to improve the quality of her life. Her challenges included adoption, death of her mother at an early age, experiencing abuse within the family, and addictions to drugs and alcohol. As a single parent Lynda went back to school at 39 to improve her own life and that of her daughter. Learning to read changed her life immensely. One of the first self-help books she read was You Can Heal Your Life by Louise Hay. This started a new outlook on her life. Affirmations changed the way she felt about herself and others. 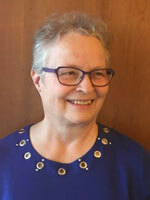 Lynda now reads extensively and has attended workshops online and in person to continue her growth. 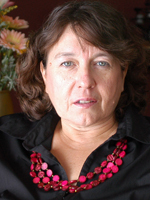 In 2009 Lynda had the opportunity to attend an Energy Medicine workshop given by Deborah King. Deborah was offering her energy healing program for those who were interested in healing themselves and others. 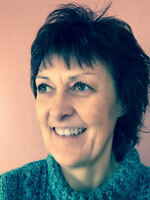 Lynda began study then and has completed all levels including LifeForce Coaching. She now continues training with Deborah as a Master Graduate. Lynda’s belief is that the number one reason why anyone should open their hearts and minds to this amazing practice is that ‘you deserve it’—learn to love yourself, forgive yourself, be of service to the world—and that this process will make us and the world a much better place. Lynda’s goal in life now is to give back to others what has been given to her and to help raise the consciousness of the world through meditation, prayer, service, and hands-on-healing. 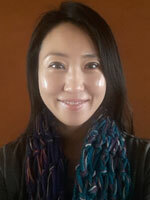 Grace Eunyoung Sa is a Deborah King Center certified LifeForce Energy Healing® practitioner and counselor. She is an Avatar Master and Wizards certified by Star’s Edge, Inc. She is also a certified professional simultaneous translator between English and Korean. She has been studying directly with Deborah King for 6yrs and personally experiencing the transformative power of LifeForce Energy Healing® all throughout the in-depth studies with Deborah. She has translated Deborah’s first book “Truth Heals” into Korean. Grace acts as an ambassador of introducing Deborah’s teachings to Koreans to help those in need of supports in their physical, emotional and spiritual healing. She does workshops, private sessions and distance healings actively. She lives in Korea. Grace can be reached at gracesa@gmail.com and skype #gracewithlove. Christy Strom has had a life long passion for healing. 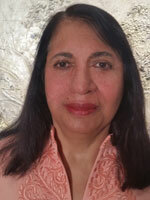 She has faced several traumatic situations early in her life which have brought her to the path of energy healing. Going through these experiences firsthand has allowed her to become an excellent coach and healer for those currently experiencing life’s challenging situations, specifically with loss, whether that pertains to separation, divorce, abuse or death. Christy has overcome many emotional challenges since the deaths of her son and later her mom with much credit given to energy healing. She graduated in 2003 from the University of Lethbridge with a Bachelor of Nursing degree and is currently a practicing Registered Nurse. She is employed as a Home Care Case Manager working with people in their homes, as well as working with doctors and other interdisciplinary team members. 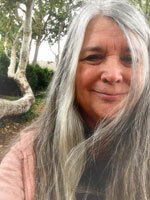 She is a certified Lifeforce Coach by the Deborah King Center as well as a certified Energy Healing Practicioner. Currently she is a seventh level apprentice of the Deborah King Center and has been student since July 2012. In addition to her Energy Healing studies, Christy received her certificate for Health Coaching from the Institute of Integrative Nutrition. 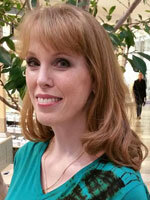 Christy’s passions also include travel and being of service to others. She has led teams to South America annually to construct and help out at an orphanage. Continuing to see the growth both in the project and in these children from year to year brings much joy to her heart. She enjoys spending time outdoors, especially in the mountains nearby her home. Also bringing Christy joy are her two daughters. 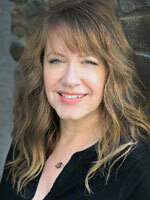 Christy believes that through energy healing balance can be found physically, mentally, emotionally and spiritually. Christy is eager to assist you to be your best you so you can live the life you were meant to lead. For many years, I unknowingly suffered with Post Traumatic Distress Syndrome from experiencing and witnessing many crisis’ of violence and abuse in my childhood and adult life. I’m an avid learner and student of life. On my path of self -awareness and healing I gathered many coping tools and healing modalities from a lifetime of struggling with overwhelming emotional burdens and low self -esteem. I sought help in healing through prayer, self -help books, counselling, twelve step programming, eight years of University Art and listening to Hayhouse on-line radio where I discovered Deborah King’s LifeForce Energy Healing® program. I enrolled in Deborah King’s program, receiving deep healing in my studies and practiced energy healing modalities for eight years. I acquired Deborah King’s LifeForce Energy Healing® Coaching Certification and Deborah King’s LifeForce Energy Healing® V Master Graduate Certification. I‘m a passionate spiritual maverick. I’m in service to help others on their healing journey to reclaim personal power through intimate connection to the higher self, where the power of healing originates. My practice involves meditation, prayer and healing modalities to support mental, emotional, physical and spiritual health. I am a motivational speaker, teaching the value of belief in a higher power, belonging to a safe supportive community with the healing power of humility, prayer and meditation to support the quality of life. I offer a variety of workshops including Deborah King’s “Truth Heals” book study and chakra education. 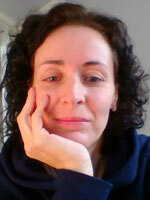 I provide Coaching and Long Distance Energy Healing services via skype, or zoom. As an Energy Healer and Soul Realignment practitioner Viki helps people to discover who they are at the soul-level, so they can step into their spiritual power. Through her readings, she will access the gateway to the Akashic records and provide people with insights and information on how they can live their highest purpose and create the life experience they want—abundance of health, vitality, relationship, financial, and more. Growing up in Europe, Hungary, Viki felt the world to be an uncomfortable place. As a young person, she experienced aggression and violence which left her in a defensive and vulnerable state. She was not happy and she wanted to be. After a long and unhappy marriage, she now raises her three boys in Canada where she finally found that beautiful and spiritually enriching environment which helped her to return to the sense of belonging and happiness. After a miraculous remission from an energy healing session, she felt the weight of the long-time carried emotional and mental pain to lift and completely leave her whole being. The vital force energy that she could access at that point healed her completely and set her on this new way, to become a healer. She is an empowered soul today with the mission to help to integrate consciousness into the lives of others and therefore heal the world. She can be contacted at floweroflifesoulreading.com. 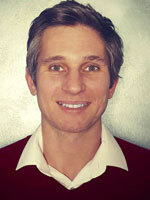 Vedran is a spiritual teacher and healer who, after going through a challenging and difficult spontaneous awakening, met his mentor and teacher, Deborah King, in 2015. This sparked the integration of his experiences and led to his conscious work towards the mastery of holding space for transformation in others. Vedran has dedicated his life to guide all beings that cross his path to heal, understand and integrate their own spiritual processes. He also discovered his life purpose of raising the consciousness of the Earth and the whole of humanity through service, devotion and self-awareness. Before I met Deborah King and explored her teachings, before my creative interest was rekeyed by opening myself to my spiritual side after many years of numbness, my life was a struggle. I was by all definitions of the term “a dead (wo)man walking.” I had lost my tribe many years earlier but knew deep inside that every experience, good and bad were both learning experiences. Today, because of my training in meditation and energy healing I understand them to be gifts, though some of the meanings of the messages entwined in each experience are still unfolding. I no longer look at myself with the same disapproving thoughts and hypercritical eyes. These patterns are no longer in my playbook. The last few years I’ve experienced a new ease about my life. I’ve become more confident in my spiritual presence. I’m finally making good choices in my life. I know this because of the many ways my life is supported by nature- physically, emotionally, & spiritually. That’s how we know we are walking our true path, the one meant uniquely for us. That’s when we begin to get a hint at how to be a Healer, one that isn’t corded when doing the work. Don’t get me wrong, it wasn’t only a few years, it took more than a lifetime. The synchronicity of the teaching coming along when it did reaffirmed that I really am tuning into my truth. Let me tweak the old saying- when the student is ready the teaching will appear. As a child Ellen felt emotionally and verbally abused by her parents. She was extremely shy and spent a lot of time by herself. She loved nature and animals and still does. When Ellen went to school she did not socialize with others and had very few friends. As she got older, Ellen realized that the reason that she didn’t have friends was because she was completely closed down with a wall around her. Ellen forced herself to do things that were uncomfortable in order to meet other people. Interestingly enough, she chose to become a nurse so she could work with people. Ellen became a psychiatric nurse when she graduated because she resonated with psychiatric clients and felt that she could help them. She’s been a Registered Nurse for over 44 years. Ellen married her husband when she graduated and was expecting a peaceful and love filled life. She quickly realized that her husband was an alcoholic and their life had been drama 24/7. She felt that she’d been treated unfairly by him. Although Ellen blamed her husband for most of her problems, she was as much to blame as he was. It has taken her many years to learn this. In the process of trying to help herself, she started studying many modalities of energy healing. By working on herself, she has learned that it is important to forgive those people that you feel have hurt you. Forgiveness has allowed her to release her anger and open her heart. One of the most important things that she’s learned is to love yourself. 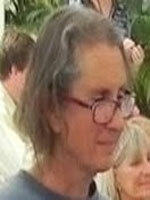 Jan is a certified LifeForce Energy Healing® practitioner and Holistic Life Coach and Meditation Guide. She has a Masters degree in Clinical Psychology, is the mother of three successful adult daughters, and has enjoyed a long and happy marriage. Before hearing about Energy Healing, she suffered for 15 years with a leg crippled by deep vein thrombosis. The swelling and pain was so bad she could not do simple things like stand in line with her kids at the amusement park. After missing out on so much over the years, she discovered she could ease the pain in her leg with the healing power in her own hands. She was amazed as she felt her pain melt away, and, over a period of months, her condition resolved, and no longer troubles her. Other lifetime issues such as allergies and overweight gradually left also as she continued her practice. This is how she became so passionate about Energy Healing and sharing its benefits with others. Based in Ohio, Jan is available for in person or live video coaching, healing sessions, and private meditation instruction anywhere in the world. Over time, you can learn how to maintain and improve your health with simple practices anyone can do at home, just as she did. To request an appointment or free consultation, just fill out the request box on her website, http://healingme.us/. Just a few years ago, at the intersection of leaving full-time work, experiencing the Empty Nest Syndrome, and processing the death of her mother, Laura hit a wall she never saw coming. A joyfully busy life suddenly felt flat and melancholy, with severe bouts of generalized panic. But there was also a positive side. Most days and every night she felt strange “waves of energy” moving around and through her body. These mysterious sensations seemed to want immediate attention, yet were loving, patient, and kind. Laura also sensed that she knew them, but could not remember feeling anything of this nature before. Without understanding how to describe the occurrences, or who to talk to even if she could, she began looking for answers by reading widely, exploring alternative paths, and adopting a mantra-based meditation practice. It did not take long to determine the Source and meaning of her extrasensory experiences, Spirit was nudging Laura to heal her own life—and what a rewarding adventure it has been! As early as three years of age, Bernice had only one desire: to stay alive through the violence, neglect, abuse, and trauma of her childhood. Her father was an alcoholic who often spent time in jail following the frequent beatings of her mother. Bernice learned that when she was three years old, her mother had been clinically diagnosed as a sociopath with multiple personalities. One personality was kind, while the other was a monster, frequently killing the family pets and punishing Bernice by locking her in cellars or closets. Bernice and her siblings lived in abandoned buildings and often in shelters or with relatives. Bernice is the eldest of five children and the one her mother blamed for everything that was wrong in her life. Bernice learned early to overcome challenges and ignore what others thought of her. This gave her the strength she needed to push through the pain and confusion of her past. With her determination and faith, Bernice became a powerful, successful businesswoman. With completing the LifeForce Energy Healing Certification Course® with Master Shaman Deborah King, Bernice incorporates these lessons in her private practice. She also brings authenticity to her energy healing & coaching, her talks, and classes based on the theme – From Invisible to Unstoppable. Contact Bernice at bmwpersonal7@gmail.com. Bernice walks the path of enlightenment and invites everyone she meets to join her, knowing that everyone can live a great life if they so chose. After 15 years as an engineer in Hi-Tech industry, Sherry realized that career achievements could not satisfy her deeper needs. The birth of her child had changed her life in many unexpected ways. Been experiencing many challenges of her child’s special needs, Sherry had a spiritual awakening and started her journey into healing. Going through her own experiences and being inspired by many children and their parents, Sherry truly believes that our children come to us to be our teachers. Helping them is indeed helping ourselves. 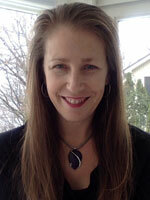 Sherry focuses her work on holistic approaches, especially the life force energy work. 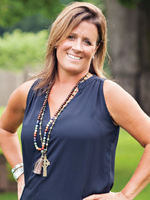 Her passion is to assist the children, parents, and families find their own path towards the in depth healing. Sherry believes that the power is in each of us. Together, we are creating a beautiful future. 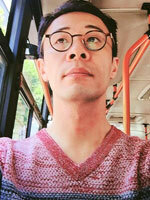 To contact Sherry, please email her at sherry.xu@gmail.com. Practical by nature, Allyson has the ability to take what she calls the “woo woo” and make it applicable to everyday life. In addition to being a coach and healer, she is an Executive Director for a global non-profit and attracts clientele from all walks of life. For more information, please visit her website at Allyson Zimmermann – Healer and Coach. The people listed here are advanced students of the Deborah King Center (DKC). Deborah King and The Deborah King Center do not guarantee any specific result or outcome and any views or opinions presented by DKC students are solely their own and do not necessarily represent those of the company. The information provided on deborahking.com is, at best, of a spiritual and energetic nature and cannot substitute for the advice of a medical professional (for instance, a qualified doctor/physician, nurse, pharmacist/chemist, and so on).